A diabetic veteran who checked into the Memphis VA Medical Center seeking an assessment of damage and possible repair of blood vessels in one of his legs went back home with a piece of plastic tubing dangerously lodged in a critical artery. 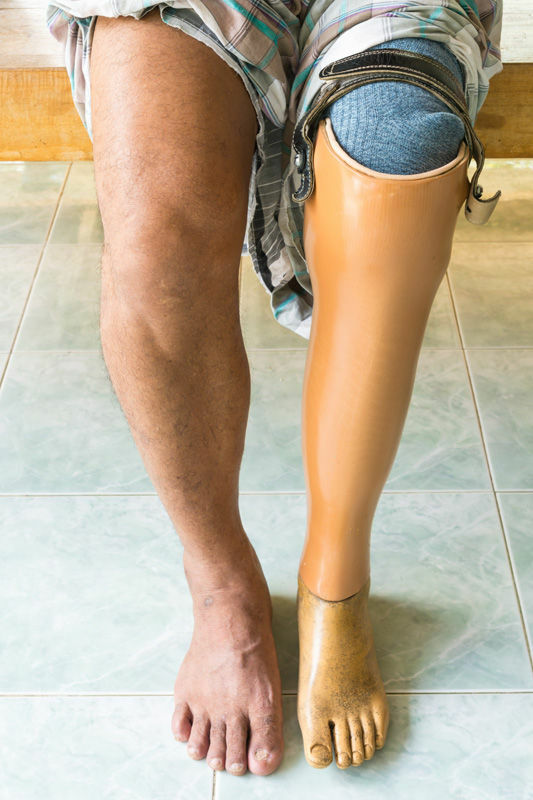 As a result of the malpractice, the veteran ended up having his leg amputated a few weeks later. In the latest release of VA medical center ratings across the country, the Memphis VA scored 1 out of 5 stars. Needless to say, the scores were of less than 3 stars for numerous VA facilities, nationwide. Sadly, it doesn't take much effort to find cases of shocking VA malpractice across the nation. The veteran, who suffered from poor circulation in addition to diabetes, had 10 inches of tubing inside his leg. Neither the man nor his doctors were aware of the presence of the foreign object inside the leg before the amputation took place. In fact, when the doctors cut into the leg, they also split the tube in two. In 2016, there were 1,000 reports of threats to patient safety at the Memphis VA hospital, a 300 increase from the previous year. In fact, the facility is one of four hospitals the VA has chosen to scrutinize through weekly briefings, on account of their poor performance. Malpractice at the Memphis VA is a catalogue of horrors. One veteran had to undergo a repeat biopsy after staff mishandled the extracted sample. Another one had their colon perforated during a colonoscopy. A patient in critical condition left for another hospital after he waited two hours in the Memphis VA's emergency room. These are only some of the cases that have come to light during 2016. As a result of what VA Secretary David Shulkin described as a “top to bottom review,” the Memphis hospital has recently replaced its director and several of its top managers in critical areas such as research, anesthesiology, and research. VA officials also pointed to problems found in nursing, engineering, and human resources. Over the last 10 years, the VA has disbursed $871 million in medical malpractice settlements. In numerous cases, the employees responsible for the malpractice have remained on the VA's payroll. Since 2014, settlement payments have increased dramatically, amounting to $230 million from 2014 till today. As of early September, 2017 is already the year with the largest payments. Shocking conditions and malpractice have also been exposed recently at facilities that had slightly higher ratings for 2016, including the Marion, DC, and Manchester VA hospitals. From deaths connected with lack of patient safety to fly-infested operating rooms, and surgical materials accidentally left inside the bodies of inadvertent veterans, investigators have seen it all. Were you injured by medical negligence at a VA hospital? 20 year veterans’ lawyer focuses exclusively on helping veterans in disability cases and injuries from medical malpractice. Give us a call for a no-cost case evaluation. 888.878.9350 or Connect by Email. Did My Surgeon Leave Something Inside Me?